Aleem Ramji is the vice president and general counsel of Next Level Petroleum managing its day-to-day and extraordinary legal needs, in addition to overseeing substantial operational portions of its business. Next Level Petroleum is a licensed marketer for Chevron, Texaco, Valero and Citgo that supplies fuel to over 150 gasoline stations in Georgia, in addition to substantial real estate and construction activities throughout the state. Aleem was born and raised in Atlanta, graduating from The Westminster Schools in 2003. After that, he earned a degree from Duke University in Political Science and History in 2007 and a JD from Columbia University in 2010. 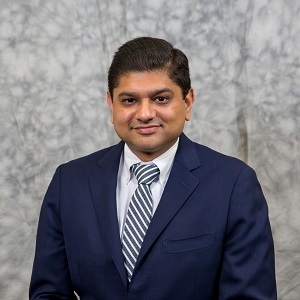 Upon his return to Atlanta in 2011, Aleem was a corporate associate in the private equity and venture capital group at Morris, Manning & Martin, LLP in Buckhead for three years. During this time, he managed and helped close numerous large-scale M&A transactions with REITs, private equity firms, venture capital firms and public companies ranging from $10M to $7 billion in value. He also worked with growing and start-up companies across their various business needs, including debt financing, outside capital and investment, customer and supplier negotiations and management team strategy.